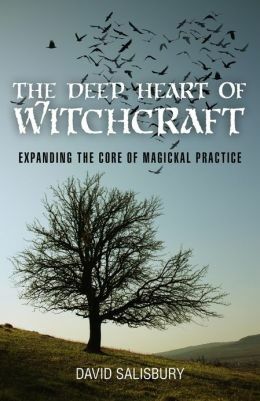 David Salisbury made a fan of me from the first lines of The Deep Heart of Witchcraft: "Witchcraft is work. And let’s not kid ourselves, it’s tough work." Too many authors gloss over the effort involved in becoming a witch, reducing the work involves to a series of recipes (spells) and movements (rituals) which may require some expenditure in terms of items needed. Very few -- even ones who should know better! -- get into the transformation and healing required to truly align ones' Will with Intent so as to manifest a new reality. Chapters initially correspond to the four elements, then discuss the Gods, ritual, the Wheel of the Year, and end with 'Putting it all Together'. Each has information and exercises that will deepen your practice if you no longer a novice, but work just as beautifully for the rank beginner. I found the various sub themes within the chapter especially thought-provoking. For example, in Fire we first contemplate that fire created civilization. Then we look at our Will. Love is then explored, followed by refinement, alchemy, and psychic insight. Creatures associated with fire (salamanders, genies, etc) are discussed, and then we examine blood. In the end, we look at our ego. And that just one chapter! "No one but you can engage in the magick of transforming your life. Take a breath, take a step forward, then make it happen."